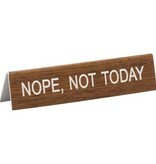 Add some retro style with a bit of snark to your home or the office with this desk sign. Its professional, faux-wood appearance belies its sassy "Nope, Not Today" message that humorously warns colleagues to leave you alone. 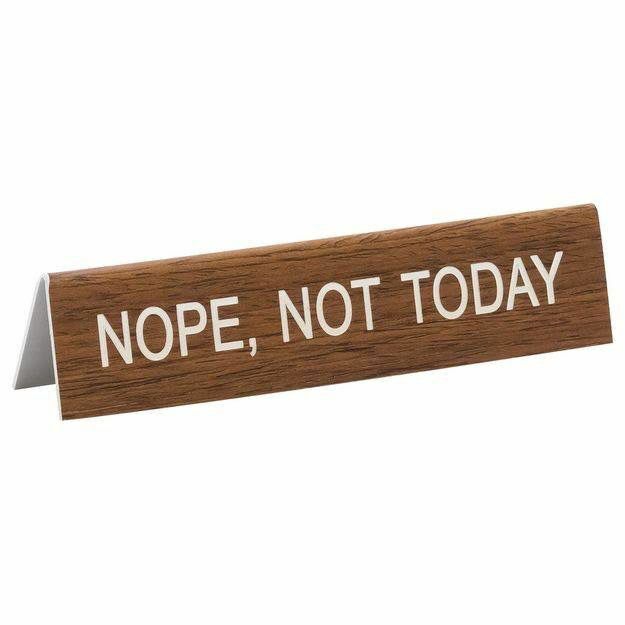 On sign: Nope, Not Today Acrylic. 5.75" x 1.25" x 1"